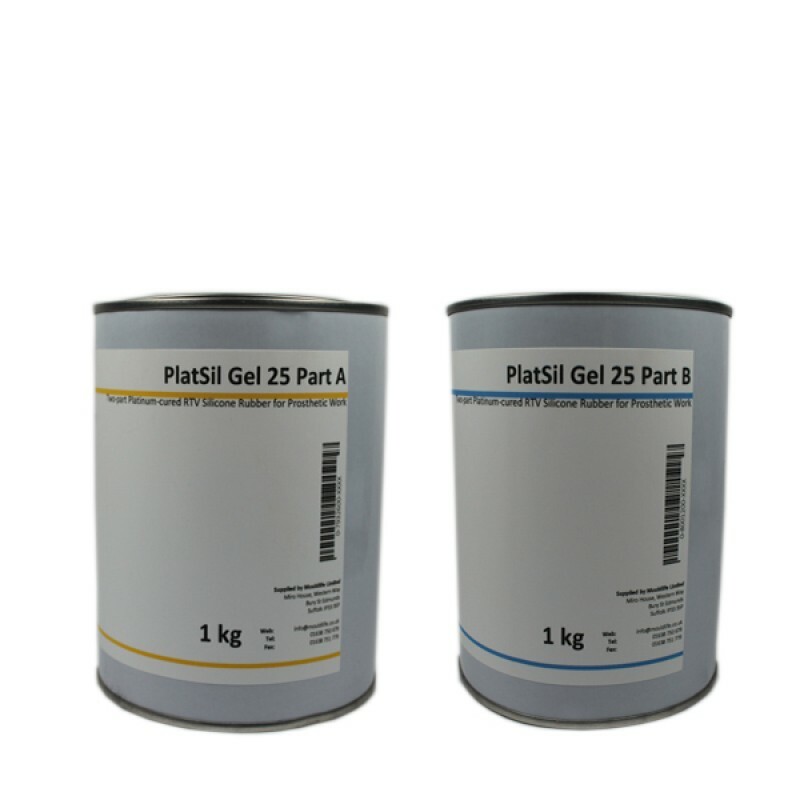 Mouldlife Platsil Gel 25 is a 2-part silicone kit for creating moulds. This has an exceptionally low A and B mix viscosity with the same great tear strength as Platsil Gel 10. Mouldlife recommend is as a low shore silicone for animatronics, and also recommend its high clarity for flat moulds.